Canon EOS 60d vs 70D Comparison, What's the difference? Home / Digital Camera Comparison / Canon EOS 60d vs 70D Comparison, What’s the difference? The EOS 70D is a middle range SLR for the photographer. It appears to be a good upgrade for the EOS 60D. Canon claims that this new camera is the first of its type that has a good autofocus for both video and shooting. It has a lot of the features that many of Canon’s SLRS have, which includes the autofocus sensor that the EOS 7D has. It also has the touch screen that the EOS 700D has in addition to the same Wi Fi that the EOS 6D has. The EOS 7D’s exterior has a new sensor that is totally different. It has 20.2 MP resolution, but it utilizes a dual design that makes it possible for each pixel to have two different photodiodes that will face both left and right. Basically, it has an autofocus that can give a live view and a movie mode. 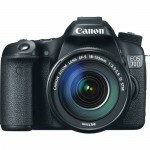 From the release day of the EOS 60D (Read Review on Amazon) – August, 26th of 2010 a while has passed. A long interval of time that let a long line of Canon fans in stand-by. Those looking for a compact device, but also with something more than the entry level SLR did not want to invest enough money to purchase a EOS 5D Mark II (now 5D Mark III), or on the new, less expensive EOS 6D. From the 60D, the new EOS 70D inherits the spirit: a robust digital SLR, yet compact in size (this device measures 139 x 104 x 79mm), with a convenient weight (755 grams including battery), even if it’s not normally used for professional work, which if used for that purpose it wouldn’t be bad at, it still offers an affordable price. The EOS 60D has been replaced by the 70D in this range, but it basically has the same design and build. But the 70D is not as big as the 60D and has updated controls. The following is going to look at each model in a little bit more detail. When you are looking at both of these cameras from the front, they look the same. But the 70D is slimmer than the 60D. Also, the 60D is not as narrow as the 70D. You will also notice that the 70D no longer has a front facing microphone like the 60D did. The 70D now has a stereo microphone on the top. The 70D and 60D look almost alike from the back also. The 70D basically has the same build. The 70D now has the upgraded live view and additional mode that the 60D had. It also possesses an actual switch that can lock the back dial and make it impossible for you to operate the camera by accident. This model has all of the same buttons, but you probably won’t use them in the same manner. From the top, the 70D is basically a good upgrade. It has a simple mode dial and can constantly rotate instead of offering hard end stops. It also has a new expansion button close to the shutter release. Other than this, the other controls have not changed. After the sensor of 18 megapixels which has been widely used in both the DSLR camera for EOS consumer (Canon T3i, T4i, T5i and Sl1) and the semi-professional reflex camera Canon 60D. After all the expectancy, Canon 70D finally does its debut, presented today in Milan, featuring the new sensor APS-C CMOS of 20.2 megapixels. Not just any sensor, but a super sensor, according to Canon being able to become the point of reference among the ones we have seen up to today in APS-C format. Denominated “Dual Pixel CMOS AF”, The EOS 70D is the first dslr camera to use this technology. The new sensor offers significantly improved performance in Live View and with videos it allows you to obtain professional pull focus effects. The technology uses advanced CMOS architecture which employs two photodiodes mounted inside each pixel that can be read independently to achieve autofocus or altogether to elaborate the images. The Dual Pixel CMOS AF works on 80% of the total area of the Live View. When it comes to speed, the DIGIC 5+ has speed that is approximately three times as fast as DIGIC 5, and more than 17 times as fast as the DIGIC4. Based upon quality, the processor can calculate more via pixel to pixel. This can be done right then. This means that you will have more chances to look at each picture and make changes before it goes to the memory card. The extra power constantly increases the frame rate and cancels out more sounds by using signal processing. On the flip side, the 60D only had a burst speed of 5.3 pictures a second, which is 7fps in the 70D. The old EOS 60D auto focus system when shooting with the viewfinder just boasts 9 cross type AF points while the new 70D boasts with 19 cross type AF points, which are scattered on the frame and displayable in the viewfinder. The AF system is customizable, to allow photographers to adapt it to the subject they are photographing. The AF points can be used individually, in small groups, or to cover a wide area for the less unpredictable subjects. A button specially assigned for the selection of the AF area, conveniently located next to the shutter button allows rapidly moving from one mode to another, without having to take your eye of the photographic device. The maximum shutter speed of 70D goes up to 7 frames per second (65 JPEG or 16 RAW images- a card UHS-I is needed to reach the maximum duration of the burst) – is able to please most. And the 60D just has a 5.3 fps Shoots Speed. Thanks to the new auto focus Dual Pixel CMOS AF, the mode Servo AF chases the subject when in motion or even when the frame is recomposed, ensuring that the subject is always in focus. As alternative, it is possible to select different areas of focus on more than 80% of the frame by simply touching the touchscreen, also when recording to ensure crisp, clear shots in all circumstances. On the back of the EOS 70D there’s a ¨Clear View II Vari-Angle¨ 3inch LCD display (resolution of 1.40 million pixels), rotating, and with touchscreen. That will let you focus and take pictures without having to touch the top of the controls. Also, you can change the settings by using a prod instead of pressing the buttons on the rear plate controls. The viewfinder has a coverage of 98% and a magnification of 0.95x, and the 60D just features a fully articulated screen and Viewfinder has a coverage of 96% and the same magnification of 0.95x. This new 70D offers a range of sensitivity which standard ISO range covers 100-12800, with ISO 25600 as an expanded option and the 60D standard ISO tops out at 6,400, with an extended 12,800 mode. On the video mode, you can record in full HD 1920 x 1080 (29.97, 25, 23.976, or 60 and 50fps in 720p). This particular camera also has a WLAN module. The one before it depended on the WiFi memory card. Now you can pass along photos straight from the camera via App. It also has a 3 inch folding screen, which was also seen in previous models. The 70D has NFC, which the 60D did not. Basically this means that the camera can communicate with and send pictures from other devices that are also NFC compatible, but Wi Fi is present. There’s a built-in stereo microphone. The presence of an audio input allows the use of an external microphone. The full control of the settings such as ISO opening and sensitivity is possible in manual mode. EOS 70D has a variety of creative modalities. The HDR in-camera function eliminates the difficulties of shooting in troubling situations with high contrasts, blending three exposures in one to capture more details in the areas whether in light or shadow. With Multiple Exposure mode, the photographer can shoot and combine up to nine exposures into a single image, or use a range of creative filters to change instantaneously the style and appearance of the shooting. The integrated Speedlight wireless transmitter provides in-room and wireless control of multiple Canon Speedlite EX units. The autonomy guaranteed by the LP-E6 rechargeable battery is of about 920 shoots per charge, and the 60d has better battery life, which can goes up to 1100 shoots per charge. The 70D is a pretty good upgrade from the 60D. 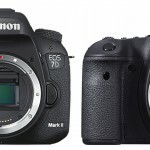 Even though the cameras appear to be the same on the outside, the 70D is close to the EOS 7D. The AF and metering sensors have not changed. It can shoot in the same manner with the 7fps. It also has many of the same features that were not retained when the camera went from the 50D to the 60D. All of these things will make this one of the best all around cameras in this range. I’m from Texas, and Friday Night Lights is a big deal here in the fall. I’m looking to upgrade and need a camera that will take great action shots in variable lighting. Stadium lights are not all the same or offer consistent lighting yard line to yard line. This same camera would be used indoors also, for volleyball/basketball games and court lighting can be tricky with action shots. Which camera and lens combination do you recommend? You just need to find the Canon 70D deal. I got mine Canon 70D + 18-135 mm STM lens for $795. So, 70D is not that expensive to get. I am looking for good deal for the canon 70d kit on Canadian market but american could be considered eather. Where did you get it? It seems a pretty good deal. Where can I look for a good deal like this? Wow. Here in India, right now 70d with 18-55 sells at over 1k dollars. You get 60d with 18-55 at the price you mentioned. So, 70D is it then. I want to upgrade from a CanonXsi with Canon 18-55 IS lens and EFS 55-200 IS lens. There are so many choices that I am totally confused. I think after much reading that I want aCanon EOS 60D. I would like to buy it bundled but what lens. 18-135mm? 18-200mm? 70-300mm? 100mm? I am strictly amateur but enthusiastic, take long range vacations photos, mid range family photos and would like to take close flower photos but that is not main interest if something has to be dropped. I would greatly appreciate any suggestions. owning the (in chronological order) Nikons d3100, Canons 50d, and another Canon 60d (both with magic lantern), i found my self wanting a 70d. all do video great (except the 50d doesn’t have a mic), but imo the cheap d3100 works best for all around movies/videos. the 60d’s articulating screen has come in handy, and saved many shots that i lost with the other two, so don’t underestimate how important it is to get those ultra high/low shots while walking around. this is a very important part. while the d3100 is the easiest to work and get decent video/pictures, i always feel more acheivement when i use the 50d. I sold my 60d, and possibly will sell the 50d for a 70d due to its video capabilities and the fact that M.L. has a build for it already. thank you for the page, and info, and all the other replies. summary, if $ is an issue, the cheapest dslr’s (w/great glass) can perform miracles while saving you $ but at some point, you’re going to want a capable body with updated technology (wifi -remote control, and focus settings) to experiment with. This site is very helpful for prospective customers!! I have already purchased canon 60D just because of 70D price is out of my budget!!! This is real beauty for video lovers. You don’t have to fight much for focus. Thanks. Please learn to write with better grammar and structure, and always triple-check your facts. Camera specs can be a bit confusing by nature. Great thoroughness, but hard to follow. Did you just criticize the review with an incomplete sentence? I think it’s hilarious when people trying to play “grammar police” end up blowing it. I like Eos 60D than 70D. Because I don’t like touch screen as well as having Wi-Fi. For simple photographer there is no need to get a lot of features in camera. Good camera is paid for more money! I like on having single pixel than dual. This is my though and I don’t know whether I am right or not. I have both the 60D and 70D and the 70D is NOT just an over priced 60D. It out performs the 60D in several areas. Not just more auto focus points. And as usual when a new model comes out the price of the previous model takes a big dive. As for the 60D is a great camera too and I have no intentions of selling mine. I also have an EOS M I’m quite fond of too. That’s a good camera that’s got a bad rap. I’ve spent the past several months literally aching through specs, reviews, comparison charts and what not. I’ve considered 70D/60D/700D, Nikon D5200/5300/7100/7200…it was a painful experience at times. Throw in the lenses issue and I literally dreamed of cameras and lenses for weeks. I settled for a Canon, and at first I was set to the 70D, especially because of it’s dual-pixel focusing in video mode. I’ve seen reviews on youtube that make a very solid case of why the 70D is so awesome. And it is. It’s a lot more than the 60D… but it’s twice as expensive! Taking in mind Nikon’s take on video, especially on the D7000 series (it makes fabulous photos and doesn’t bother with video too much… bottom line it’s a DSLR photo-taker), the 70D tries too hard to be two things in a single body: a camcorder and a still camera. And it does it quite well… for a hefty price. So after setting my heart on a 70D, when time came to actually see the cost as a real figure that will come out of my pocket, things stopped looking so awesome, and common sense leaned more on the idea that if it’s a stills camera, the 70D is an over-priced 60D (yeah the 19 cross-type focus points yada yada… you get to pay 50 bucks for each one of them!). I now settled and placed an order on the 60D with an 15-85 lens. Totals $1100, which is the price of a 70D body only. When purchasing consumer electronics (yes, a dslr IS consumer electronics), paying double the cash for a 70D makes no sense. It will depreciate by 15% per year. Not a good investment. This is my $500 bucks decision: save on the body, spend it on glass. 60D has built-in-Camera ‘Raw image processor’ and able to convert CR2 file into JPEG with basic corrections. This feature is very use full when the photographer travelling with 60D but without a laptop and wishing to present prints instantly to someone. 70D has no GPS built in! hi, the first instance of “Built in flash” in your chart states that the 70D doesn’t have one. the second instance says it does though. 60d if you shoot photo. For the half price you get similar image quality.